Members of WAI, the leading technical society for the international wire and cable manufacturing industry, rank networking as the #1 reason to join the Association. As a member you can expect to meet like-minded professionals, experts, and pioneers from WAI’s diverse community who will help you continue to develop your career. WAI membership is available to individuals engaged in the manufacture and sale of wire or wire products, mill machinery, equipment, materials or services to the industry. WAI inspires today's wire and cable leaders and cultivates tomorrow's luminaries. Its network comprises professionals in more than 70 countries. You will have the opportunity to participate in networking and leadership at the local, national, and international levels. Additionally, you will have access to educational resources, WAI’s worldwide network of industry professionals, and receive discounts on Association activities. WAI’s volunteer network comprises technical experts, authors, management committee members, chapter leaders, speakers, moderators, advisors, and translators. Whether you are a veteran or a newcomer, WAI provides boundless opportunities for you to help shape your industry. WAI connects people with the contacts and information they seek. 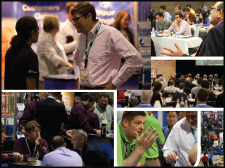 It organizes: trade shows such as Interwire and WAI Operations Summit & Wire Expo; educational opportunities—including webinars and courses; international conferences; local chapters; plant tours; and networking events. Members receive discounts to attend these events. The source for current technical material, WAI identifies and publishes technical handbooks, technical reports, and reference materials that are available to members at a reduced rate through the WAI Store. And it continually solicits technical papers, which are presented at its annual conferences. Researchers can access a substantial and growing list of technical article abstracts that have been published in conjunction with a WAI event since 1926. Members have access to the full articles. WAI has a technical library at its headquarters; it enjoys alliances with industry consultants, educational and technical organizations, and an industry historian. If you are unsure of the extent of WAI technical resources, contact WAI and we'll do our best to accommodate you. WAI's chapter program delivers the membership experience to regional professional communities. Chapters give members a view of both local and global wire and cable industry issues through education programs and social events that also provide networking opportunities at the regional level. Meet your peers. Achieve your goals. Join WAI or renew your membership today.